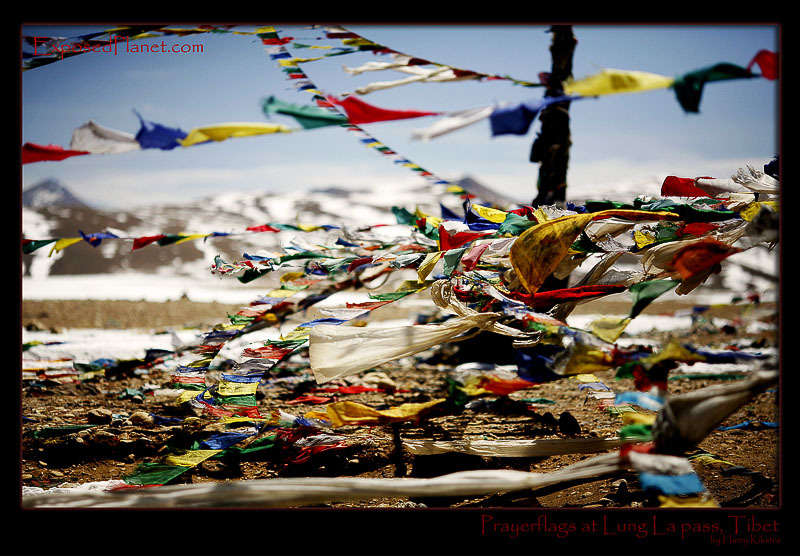 The story behind "Prayer flags at Lung La Pass, Tibet"
When climbing Mount Everest from the Tibet side, you have the luxury to be able to drive all the way to BAsecamp. On the way from Nyalam to dusty village of Tingri you will pass this first 5000m high pass, the Lung La, La means pass. Every time one of the flags blows in the wind, one more mile is earned, so the smartest place to put them is on the high windy passes, like this wonderful place. You will feel the altitude when coming from Nepal which adds to the sensation of being allowed to stand in such a place.